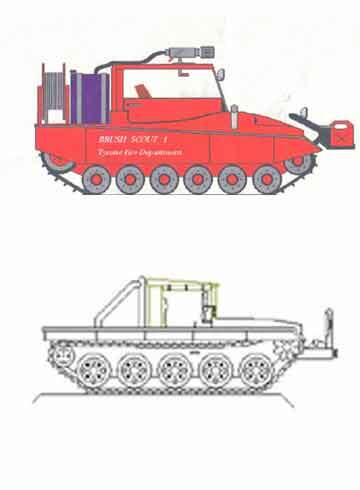 main interest is tracked all terrain vehicles, especially the smaller ones. I'll attach a couple simple drawings to this message of what I wish I could build. Over the years I've seen some interesting tracked all terrain vehicles in movies. I have no idea who makes such a vehicle. You have any idea? it. Any idea about this? In the least I introduced myself and my interest.